Build it provides a fantastic solution and one-stop shopping experience for all your decorative requirements! Build it is an approved Plascon stockist carrying a full range of products for all applications, supported with paint mixing facilities to provide colours of your choice. Build it has a comprehensive Housebrand range which compliments the leading brand of Plascon. We provide all your requirements for waterproofing and timber treatment, with all the necessary solvents and cleaning agents. All painting ancillary products (e.g. 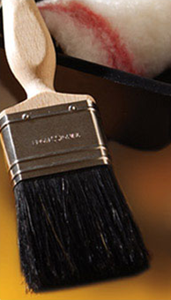 brushes, rollers, sandpaper, mutton cloth, adhesives and abrasives) are kept in stock. We have all your requirements in the curtain track department, with accessories.